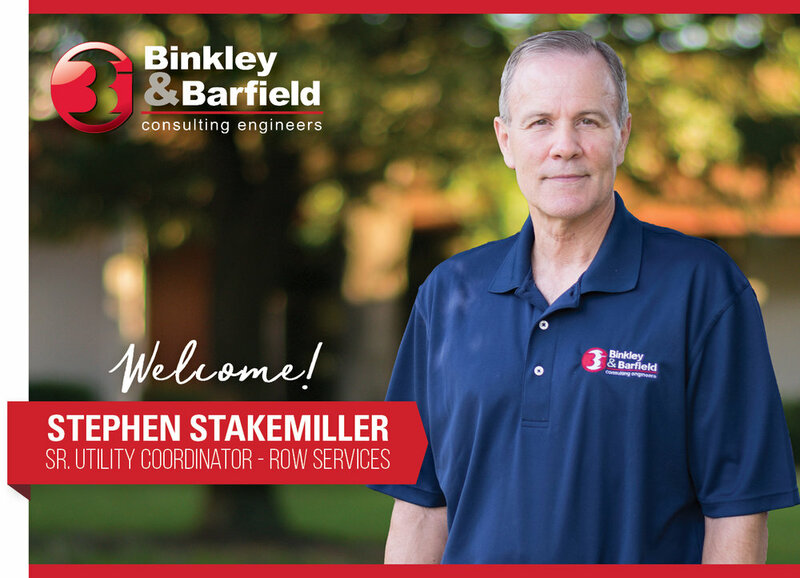 Welcome: Stephen Stakemiller — Binkley & Barfield, Inc.
Binkley & Barfield, Inc. (BBI) is pleased to announce the addition of Stephen Stakemiller as Sr. Utility/ROW Coordinator for our Houston office. Stephen joins BBI’s newly formed Right-of-Way group, bringing over 17 years of experience as a Utility Coordinator in TxDOT’s Houston District. His experience with TxDOT includes managing the utility coordination of two of TxDOT’s largest projects, along IH 10 and US 290, where he was responsible for the utility adjustments and utility agreements for over forty utility companies and had over 200 utility agreements signed. “Stephen’s experience with TxDOT and knowledge of State Utility Accommodation Rules, utility agreements, regulatory compliance, and problem resolution will be a valuable asset as he provides support to the BBI Family of Companies,” said BBI Corporate Vice President Youssef Laham, PE. We look forward to Stephen building collaborative relationships across the Binkley & Barfield Family of Companies, as well as with industry peers and our clients.